I give final year undergraduate lectures on antibiotic resistance, so it is a topic about which I maintain an active interest. I was piqued by this announcement since it smacked of the Prime Minister climbing aboard the growing movement to tackle the problem (which IS serious, in case you were in any doubt), and because a call for a review inevitably means it will be even longer before actual steps are taken. 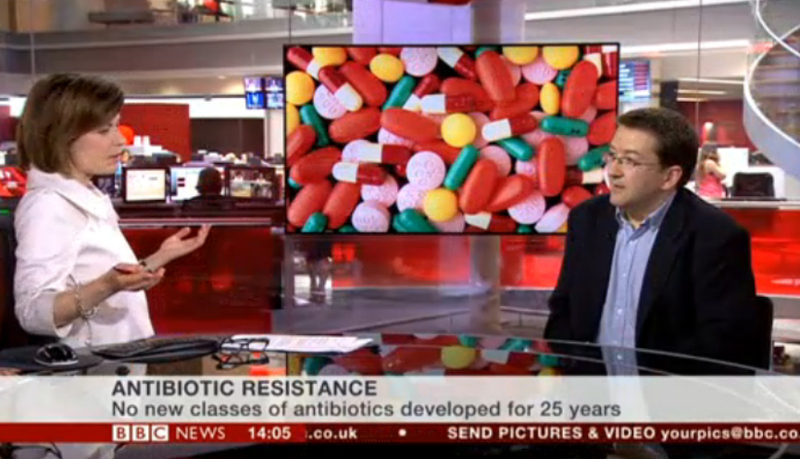 The need for new antibiotics was known 20-odd years ago when I was doing a PhD on resistance to a major class of antibacterials and since then the situation has got worse, not better. In keeping with my regular habit of tweeting bioethically-relevant news stories, I was moved on this occasion to also address a tweet directly to the PM, before continued with my admin mountain. About 5 minutes later my office phone rang. 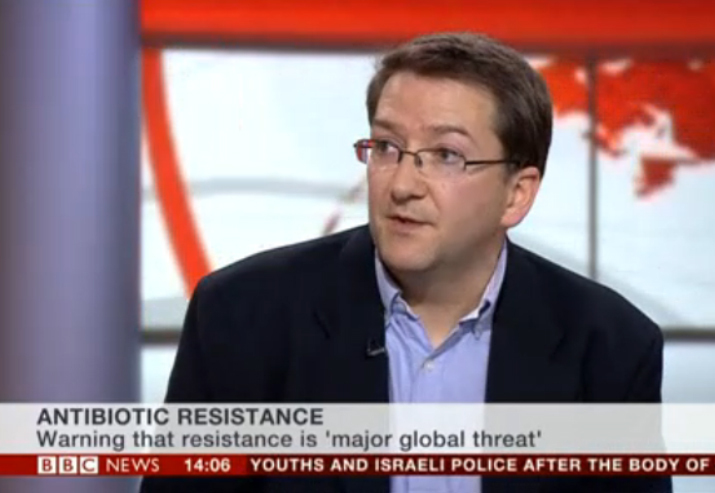 It was Harriet from the BBC, could she discuss my thoughts on antibiotic resistance? As we chatted I could here her typing frenetically. After a while she asked if I would be willing to be interviewed about the issue that afternoon. I said that, unfortunately I was in a meeting from 3pm and this would not be possible. She suggested an earlier time, and when it transpired that both Broadcasting House and my meeting were near Oxford Circus, a plan was hatched. I said confidently that I could in reception at 1:45. Despite going straight to the station and catching a train almost immediately I was only just on time. I was taken by a member of the “Meet and greet” team straight through the security door, down the spiral stairs you can sometimes see in the corner of the large newsroom behind the glass on news bulletins, and into the green room. A quick dab of foundation and it was straight through to the studio wings, where I was passed into the care of the floor manager. She reminded me of the basics, which boiled down to look at the interviewer, never the camera, and sit still after the interview until told to move. I was positioned on a chair out of shot at the edge of the studio prior to the opening theme and headlines. Matthew Amroliwala had a final check with his co-presenter Jane Hill that he had the correct pronunciation of Andy Murray’s opponent Grigor Dmitrov whose match was under way at Wimbledon, and then we were off. A montage of the footage about the main stories, punctuated by Amroliwala on camera to mention Murray’s match (without even having to name Dmitrov!) kicked off the programme. 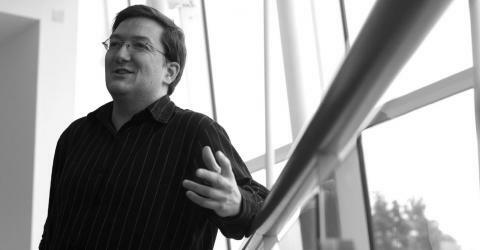 Over the last couple of days I’ve been wrestling with the chronology of what happened next. I now think it was during the latter part of this montage that I was shifted (with my chair) next to Jane Hill and fitted with a microphone. My doubting of this comes from the fact that just before returning to the top story, there is a final sweeping wideshot. How was it, I wondered watching the programme again, that I was not in this wideshot? But then I noticed that Amroliwala was nowhere to be seen either. My conclusion, this wideshot was actually filmed earlier and then dropped in to cover the various movements going on in the studio. Sneaky huh. 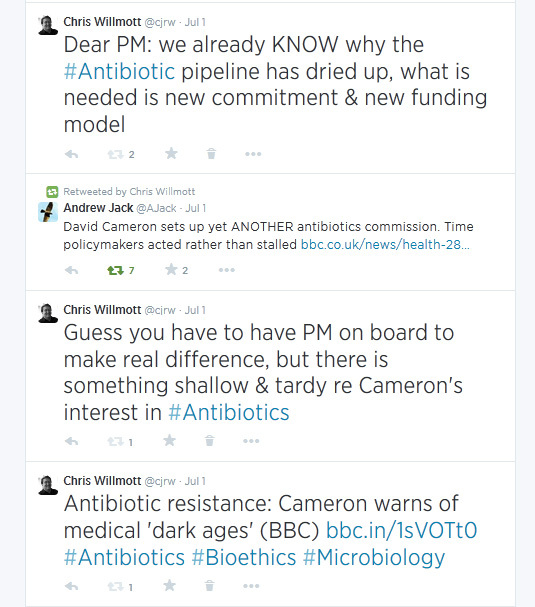 Anyhow, whether or not the details are right there, Jane Hill then summarised the predicament regarding the lack of new antibiotics, which led into Fergus Walsh’s VT package on the topic. As it was airing, Hill scanned her laptop, apparently reading Harriet’s earlier notes from our phone conversation. There was time for Amroliwala to ask me a question about how quickly resistance developed to antibiotics and for me to ask them whether, if I cross-referenced the VT I should call it a “package” or a “piece” (the answer “piece” BTW). We were on! Hill introduced me and started our conversation with the observation that we’d known about antibiotic resistance for quite a long time, and asked what I thought about the apparent big drive announced by the Prime Minister. I confirmed that any use of antibiotics created an environment in which resistance could develop and that this had been known right back from the initial days of penicillin. I noted that the announcement of fresh impetus was to be welcomed, but that it ought not to have taken us so long to get to this position. The conversation moved on to the lack of incentive for pharmaceutical companies to invest in new antibiotics in comparison, for example, with medicines that a patient was likely to take on a daily basis for the rest of their lives. I explained that pharmaceutical companies are not charities, they have to make a profit (and that this was perfectly legitimate). We therefore need a different financial model to reincentivise antibiotic development. In my only real stumble during the interview I was reaching for the word “philanthropist” but it wasn’t coming, so after a slight pause I settled for the less appropriate “benefactor”. I also reiterated my concern that we really needed to be acting on this now, rather than awaiting a further report with an inevitable delay. And then that was that, interview over. In keeping with my instructions I sat still whilst the next story was discussed, and when the next cut away to a VT package came, I got a tap on the shoulder to move. Quick farewells to both presenters, including a brief chat with Jane about the great work on raising this issue being done by the Chief Medical Officer Sally Davies and by Antibiotic Action – things I’d hoped to get into the interview but there’s only so much that can be said in 4 minutes. I left the studio, was handed back into the care of “meet and greet” and given a wet wipe to remove my make-up and then almost as quickly as I’d come into the building I was out again – less than 30 minutes in total. I set off around the corner for my trustees meeting. As I neared the venue my phone rang. It was someone from the BBC Global team asking if I was wiling to come back at 5 o’clock and be interviewed on that show (which airs exclusively outside the UK). I couldn’t initially confirm this, as my meeting was unlikely to have been finished by that time. However, the chairman of the committee very graciously allowed me permission to skip out when I needed to and, in consequence, I was back into New Broadcasting House at about 4:40. The woman on the reception desk welcomed me like an old friend with a cheery “hello again” and passed me into the care of a different “meet and greeter”. This time taking the stairs was not an option as the Global studio is three floor below ground. Waiting near the lift there were various other people apparently on a tour or invited to be audience members for a different show. In the green room I chatted with a man who had been on the Stephen Lawrence inquiry panel and was in to discuss the case of Carol Howard, a former policewoman whose Employment Tribunal had found that the Metropolitan Police had systematically destroyed records of discrimination against her (story here). More foundation, and then I was into the wings of another studio. The first thing that struck me was that the crew down here seemed to be less formally dressed than their colleagues two floors higher. A radio mike was dropped into my jacket pocket. We were asked to stay quiet as presenter Rajesh Mirchandani was pre-recording an interview with a black American scholar, whose name I didn’t catch, about whether people in the States are still defined by their skin colour. I was given some rather fuller instructions. Unlike the earlier News24 show, I would be in shot during the opening run through of the stories that would be covered in that hour. A camera on a boom arm would sweep over and, unlike the more general rule, this time I *was* to look directly into the camera. Interestingly the chair where I was positioned for this panning shot was not the same place I would subsequently be interviewed. At an appropriate point, I was moved next to Rajesh. As earlier for the interview with Jane Hill, he read through the notes taken during my initial phone conversation. We clarified a couple of points and then it was straight into the interview. Questions covered similar ground to the earlier programme, though I felt I got a couple of additional points in this time (e.g. about the role we can all play preserving the efficacy of existing drugs). 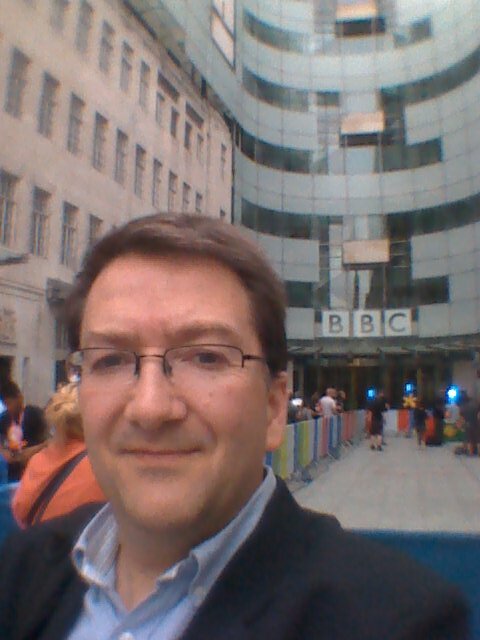 As I left the building, the central area outside was being readied for use by The One Show at 7pm. A group, who I recognised as De La Soul were setting up and beginning a sound check. I took a few photos and the obligatory selfie before rushing off to St Pancras and the return to Leicester after a very unexpected day. Those in UK universities with access to Box of Broadcasts, can see the BBC News24 interview here.